Originally from New York, Kevin Leahy has spent the last two decades recording and touring with a variety of Americana and roots rock artists. 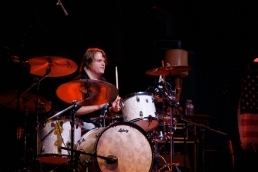 He played drums on Shawn Mullins' 1998 multi-platinum and Grammy-nominated recording Soul's Core(Columbia Records), the BoDeans' 2004 release Resolution (Rounder Records), and various other recording projects with artists such as Ellis Paul, Tift Merritt, Chuck Brodsky, Evan McHugh, Coy Bowles & The Fellowship, Eliot Bronson, Tyler Reeve, Corey Smith and Beth Wood. 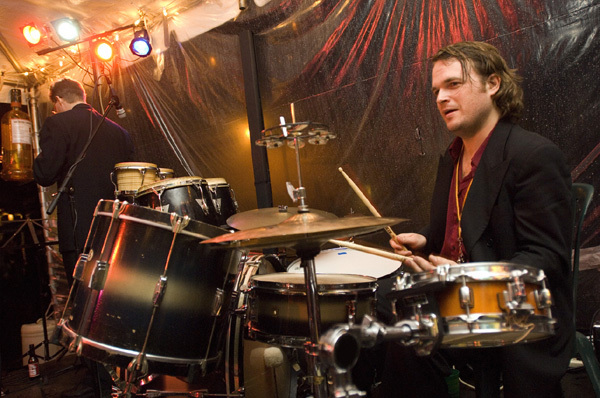 Kevin performed over 150 live shows and appeared in numerous television performances throughout the world while supporting Shawn Mullins' #1 Top-40 single "Lullaby (Rock-a-bye)". He spent the majority of 2009 & 2010 on the Zac Brown Band "Breaking Southern Ground" tour, performing with the tour's support acts–Southern Ground Artists Levi Lowrey, Sonia Leigh and Nic Cowan (documented in the Pass The Jar DVD, filmed at the Fabulous Fox Theatre in Atlanta and released on Atlantic Records). Kevin has also toured extensively with the BoDeans, Billy Pilgrim, The Jennifer Nettles Band and Geoff Achison, as well as Sugarland, Aslyn, Bloodkin, Ted Russell Kamp, Art "Buddy" Edwards and John Austin. Currently residing in Atlanta, he regularly performs and records drums, timpani, mallet instruments and percussion in a number of settings. Kevin studied at the Manhattan School of Music pre-college program, and he is a graduate of the Indiana University School of Music, where he was a student of Kenny Aronoff.